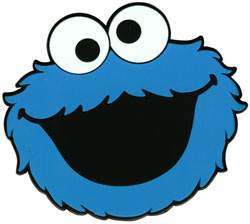 There are a predicted 7 billion cookies consumed in a given year in North America alone. They come in a variety of flavours, shapes, brands and sizes which are equally delightful. But the physical cookie doesn’t stand alone. It has a digital counterpart - the web cookie – and we also consume an incredible amount of these as well. Unfortunately for the sweet-tooth, web cookies have no physical form, or smell, or flavour or anything that would relate them to their namesake. So what do web cookies do? Cookies are small bits of data that are transmitted between a web browser and the web site being visited. Much like the baked product they come in a number of shapes and sizes. Some cookies provide a better web experience, others authenticate users, some store information, and others track usage. If you have ever visited a website and noticed that on the second visit to that same site the experience was faster, smoother, or adapted to your preferences you can thank a cookie. Would you like to gain some insight on the impact that web cookies have on web browsing? Try this recipe - the next time that you find yourself aimlessly browsing the web turn off or disable cookies in your web browser (here are instructions on how to do this for Internet Explorer, Firefox, Chrome and Safari). You will be surprised. There is very little successful web browsing that can occur with cookies in a ‘disabled’ state. The images in our April 2013 Newsletter are the result of a one hour, cookie disabled, browsing experience. It may seem that 7 billion cookies consumed per given year is a large number. What if the population of North America were to eat a chocolate chip cookie for each website visit in a day? How quickly would we reach 7 billion cookies consumed? I would guess a single week. After a week it would not be long before weight gain, elevated blood sugar and tooth decay set in. But all is not lost. We can continue to digest morsel after morsel of web cookie and enjoy the heightened browsing experience as a result.